Adaptive softball is like regular softball except the players use wheelchairs, right? Think again. It’s a sport unto itself and is played far differently than you might think. Oh, and the players—the ones using wheelchairs? Don’t underestimate them. Jeffrey Garten from the Minnesota Flamethrowers wheelchair softball team shares more. We play on blacktop. No gravel for us. Instead, our field is the same material you’d see in an outdoor tennis court. It’s painted like a typical baseball diamond and field. The space between our bases, 50 feet, isn’t much less than distance you’d run in traditional softball, 60 feet. 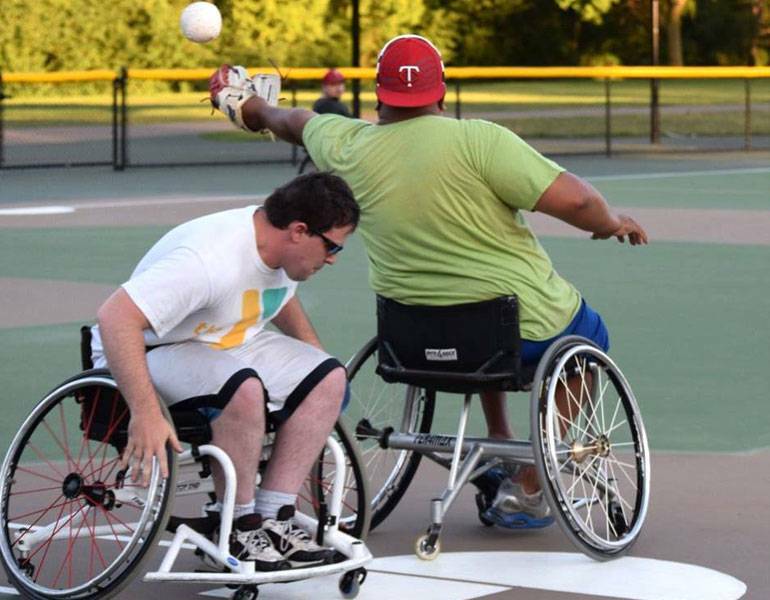 Also, did you know Minnesota is one of just four U.S. states with a specially designated wheelchair softball field? In most states, games are played in empty parking lots. 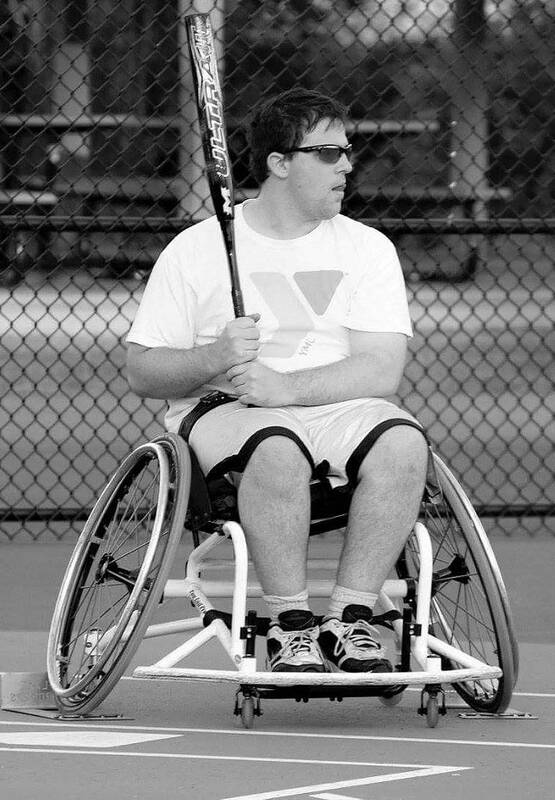 Sports wheelchairs are “a thing.” You wouldn’t wear dress shoes to play softball, right? Same goes for us. Sports wheelchairs help us make quick turns and reduce the likelihood we’ll tip over. The wheels are angled about 20 degrees, compared to a regular wheelchair’s angle of two degrees. We also have anti-tips bars, or “wheelie bars,” on the backs of our chairs. There’s something else not widely known: Sports wheelchairs are expensive—they can cost over $2,000 and sometimes up to $5,000! We train in the off-season. Like all athletes, it’s important we stay active all year long. Winter is one of the harder times to stay in shape for people who have disabilities, because it’s harder to get out. But, even small things help. I do push-ups on a daily basis. In the summer I find an empty parking lot to practice in—just like if you played traditional softball, you’d find an empty field. I, and many of my teammates, are also multiple sport athletes—I play adaptive basketball in the winter—so that helps us stay in top form. It’s an international sport. Wheelchair softball started in Sioux Falls, South Dakota, and Minnesota soon followed. It then expanded to the East Coast, then to the South, and most recently to the West Coast. There’s even a team in Japan. Nineteen teams went to last year’s National Wheelchair Softball World Series, including ours. We placed third! Our goal is to make wheelchair softball a sport in the 2020 Paralympics in Tokyo, Japan. We have a good shot: You need eight participating countries to quality as a Paralympic sport, and right now there are seven. You can play, even if you don’t use a wheelchair 24/7. 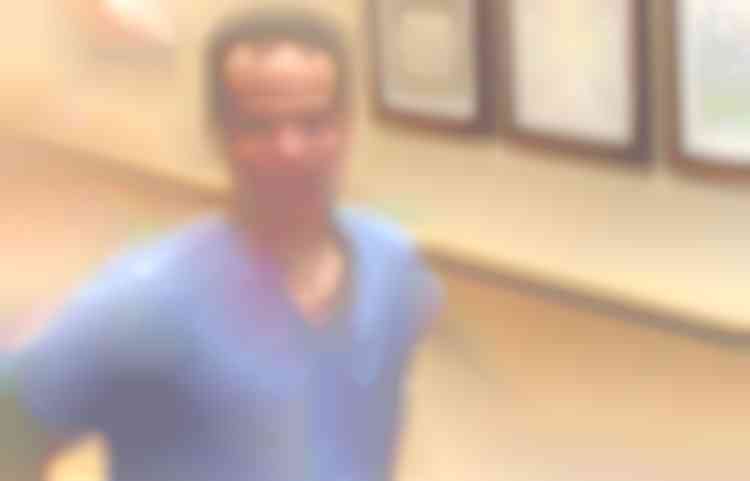 Players on our team have a variety of medical conditions that make us eligible to play adaptive softball. I, for instance, have cerebral palsy. 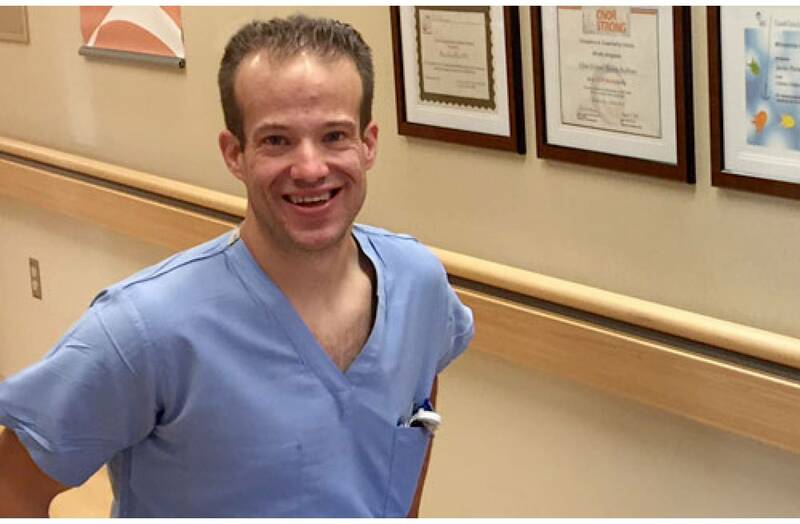 Some members of our team have sustained spinal cord injuries and others have conditions like spina bifida, or an amputated limb or limbs. Another blew out both of his ACLs playing college football. Here’s the thing: Even if you don’t rely on a wheelchair for mobility, there’s a chance you could still qualify to play. My motto is this: You might be a fringe player in standard softball, but in wheelchair softball you could dominate. You already know how to play softball—we can teach you to use a chair. 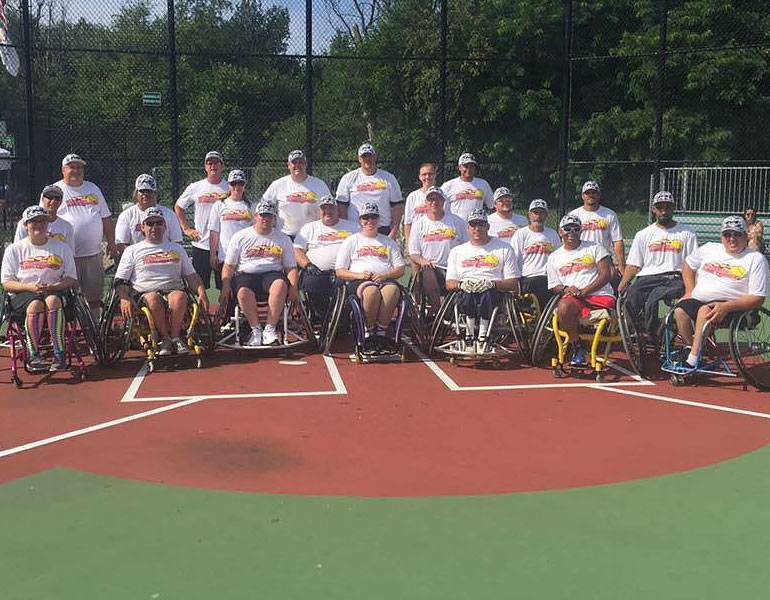 The Minnesota Flamethrowers are funded by the Charlie Wittwer Wheelchair Athletics Foundation, a nonprofit founded by Wittwer, a former Marine who became paralyzed in combat. On Saturday, June 10, we’re holding a softball tournament fundraiser at Northwoods Park in Brooklyn Center, Minnesota. Anyone is welcome to sign up as a team or individual to test their wheelchair softball skills! One last thing: There are actually SIX things you might not know about adaptive softball—and the last one is big. Don’t think that because we’re in wheelchairs, we’re not competitive. We have high-quality athletes in our league. It’s definitely a space where you can show off your athleticism.